Perceptions of Jews are crucially shaped by visual imaginations and arguments. Even a quick glimpse in the visual archive of European history demonstrates this: from paintings in Medieval churches (‘Judensau’), over Early Modern leaflets (Jud Suess) to the famous journalistic and ethnographic projects of Jewish photographers (Roman Vishniac) in the early 20th century. Visual language, coined by both Jews and Gentiles, shaped European ‘knowledge’ about Jews and Judaism. This knowledge also influenced and was further developed by film, one of the most important mass media of the 20th and 21st century. Jewish characters in German films are a continuous phenomenon since the silent film era. These images of Jews tell stories and convey messages by appealing to moral sentiments such as shame, anger or empathy, bound up with moral values. The project’s central question is: how do film productions try to convince their audience of the moral significance and place in society credited to their Jewish protagonists? How, for example, was the exclusion of Jews from society connotated positively in films produced for a German audience under Nazism? How became, on the other hand, the integration of orthodox Jews into German society positively connotated in the “Tatort” productions (Germany’s most popular prime-time crime series) after 1989? And what does a feeling like shame, when expressed by a filmic character, communicate about the situation of the character in its filmic surroundings – for example in early German silent film comedies by Ernst Lubitsch? These questions demonstrate that emotions are an integral part of filmic narratives – as part of the emotional economy of the characters, but also as a suggestion for the audience how to evaluate a character. Films tell their own stories about emotions; tracing these emotions unveils moral values which the respective film’s narrative suggests to the viewer. Tracing the emotions connected with and projected on Jewish protagonists in films allows to uncover the moral values and discourses employed to legitimise the place in society attributed to these figures: in the middle, on the margins, or beyond. These emotions and moral values are at the centre of this project. Daniel Wildmann: “Desire, Excess, and Integration: Orientalist Fantasies, Moral Sentiments and the Place of Jews in German Society”, in: Ulrike Brunotte, Anna-Dorothea Ludewig and Axel Stähler (eds. 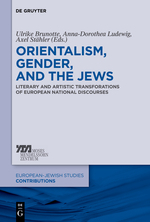 ): Orientalism, Gender, and the Jews Literary and Artistic Transformations of European National Discourses, Berlin 2014, 137-155. Daniel Wildmann: “German Television Crime Films and German Emotions. 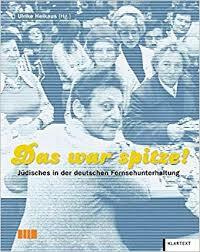 Jews in Tatort”, in: Georg Ruhrmann, Yasemin Shooman, Peter Widmann (Eds. ): Media and Minorities. 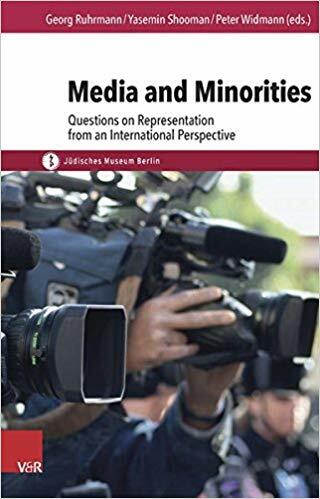 Questions on Representation from an International Perspective, Berlin: De Gruyter, 2016, 85-103. Daniel Wildmann: “Über die Liebe zu Juden oder Jüdisches im deutschen TV-Krimi”, in: Ulrike Heikaus, Jüdisches Museum München (eds. ): Das war spitze! Jüdisches in der deutschen Fernsehunterhaltung, Essen 2011, 104-114. The project will be carried out by Dr Daniel Wildmann (Director LBI London).